We boil and bake our hand rolled bagels fresh on a daily basis. Our old fashioned process delivers a flavorful bagel that many can't compete with due to how time consuming it is. 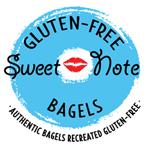 We have many different varieties of bagels as well as other goods to choose from. 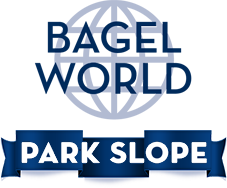 Bagel World Park Slope is a family owned and operated bagel store and deli cafe serving Park Slope, NY, 11215. At Bagel World we boil and bake our hand rolled bagels fresh all day long and since we do it the old fashioned way our bagels are always hot, crisp, and delicious.